Weed Seeds NZ are the best Marijuana Seeds New Zealand seedbank. Providing the quickest and most reliable shipping for kiwis with privacy worries. We have been in business for years providing only the highest quality cannabis strains. Amidst our range of weed seeds you can buy 7 of the world’s most rare Cannabis seeds in NZ; as we supply White Widow, Northern Lights, Super Silver Haze, Blueberry, Lowryder, Purple Haze Seeds and plenty more rare strains of pot. We hold a multitude of global canna partnerships for increased variety and superiority of our strains. This means you are only getting top quality at top prices. You will surely be impressed by experiencing our magnificent Kush varieties. Try out our Weed Seeds today. We do not stock unknown/self bred marijuana varieties as we know that a lot of them are genetically unstable or impure. You won’t get that here. The team at Weed Seeds NZ believe that by stocking only the rarest species of cannabis seeds, we will ensure everyone is happy in New Zealand. We offer the fastest, stealth shipping in NZ for our Quality Marijuana Seeds, Medical Cannabis Strains and Cannabis Cup Winner Varieties! 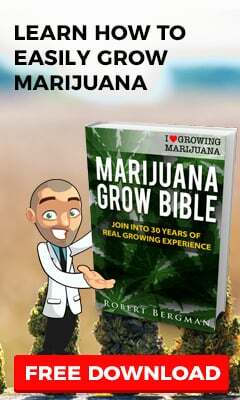 Not to mention we have give-aways which include free cannabis seeds, growing hints & tips as well as detailed grow bibles. The best part is we also sell the top of the line fertiliser specially formulated to grow alongside our unique marijuana strains. We are dedicated to be the best Cannabis seedbank in New Zealand. We do this by providing only the best cannabis seeds NZ. It’s easy to order from us. You can buy our weed seeds online. We ship free weed seeds, provide cannabis seeds NZ specials and more. Don’t be shy to order from us, you are guaranteed excellent service at affordable rates! Link: Marijuana Seeds Australia variety. We are also on the search to find the legendary Kiwi strains Te Puke Thunder and Coromandel Gold. If you can help us, please leave a message via our Q&A page here as to how you came across it. Other than that stay tuned for updates on these two NZ only strains. Maori (Mouldy) Marijuana strains of extraordinary characteristics are also very welcome too.